Are you looking for that perfect gift for your loved ones this Holiday season? Something a little extra special, that wont break the bank? Product was received for review purposes and this post may contain affiliate links. If you are anything like me, you like to make a statement with your gifts, generic prezzies just wont do for those who are on our “Favorites List”. Well…we have found an extra special item that we know you, and everyone on your list, will love! Everyone I know loves tea, a hot cup of tea on a cold morning or to unwind at night…so relaxing. But for many of us who are constantly on the go this isn’t always an option. Wouldn’t it be nice to be able to brew a hot cup of fresh tea while you’re out and about? Libre Tea has solved that problem for us! They have a very cool selection of “on the go” fresh brewing options! Libre’s tea mug is made of a durable BPA free polycarbonate exterior with a health-conscious glass interior for fresh taste. 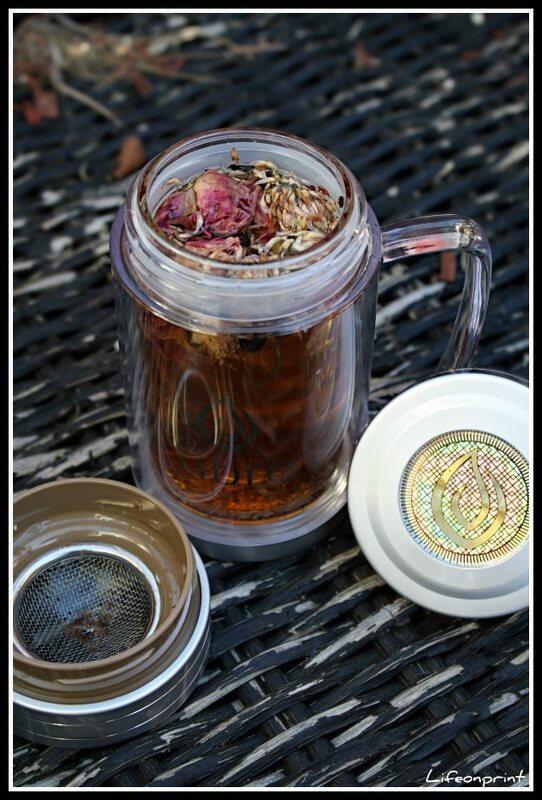 This leak resistant mug is perfect for brewing roiboos, herbs, & all loose leaf teas. The mug comes in 3 pieces, beautiful twist on BPA free lid, removable BPA free filter, & thermal bottle with glass interior and BPA free poly exterior-large stable base-easy grip handle. It allows you to brew in 2 ways; you can place the loose leaf tea in the mug then twist on the filter and add hot water, brew then drink! Twist on filter first, scoop the loose leaf tea into the filter, add hot water directly over the tea just below filter, twist on lid, turn mug upside down to brew. To enjoy, turn right side up, remove lid with filter and enjoy your fresh brewed tea straight from your mug! *perfect for travel = take it anywhere and brew anytime! Be sure to visit Libre to learn all about their other products and about their awesome company! Feel free to stop by their Facebook or Twitter page to say “hi” or ask them any questions you may have! I love this mug! I went to my local health food store and stocked up on loose leaf tea, now that I have Libre’s mug I’ll be brewing all year long! The Libre mug is a quality product that is affordable and easy to use. This beautiful product receives 2 thumbs up! 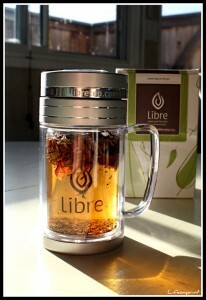 I think Libre tea mugs or glasses would be a very unique and much appreciated gift for anyone on your list! 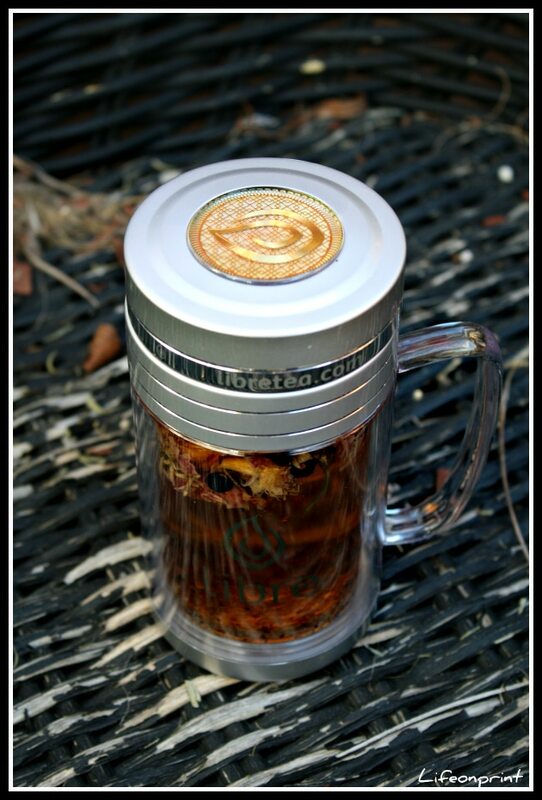 You can purchase your own fabulous Tea Mug or Glass through Libre or at a retailer near you! I love that the filter is stainless steel so it won’t rust like many strainers do. And it is made so that you don’t end up eating the leaves. I love that you can use the strainer either way! I love the mug the best. This is such a great idea! I love the mommy necklaces! The Libre Organic Ming Mei green tea sounds good. Their Organic Ming Mei green caught my eye. I love green tea and this looks really good. 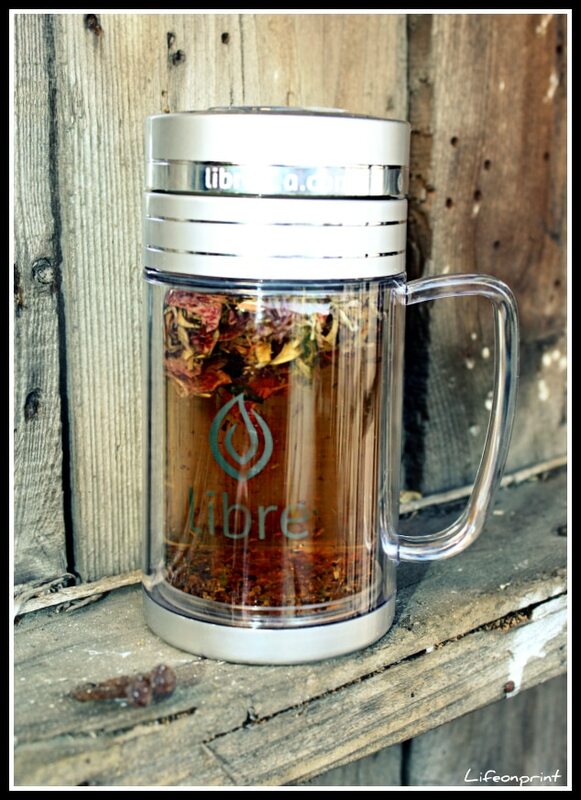 Libre glass’n poly Large, I drink allot of tea, all day long, this would be great for me! It looks like a beer tea. Has anyone came up with such tea? Made from barley wheat? I am very curious as there are many variants of teas. I think there could be one associated with beer or something.